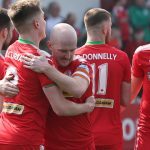 Cliftonville booked their place in the Tennent’s Irish Cup Final with a devastating early goal blitz against Loughgall at The Oval. Ahead after just 22 seconds, the Reds took a firm grip on the tie and had rattled in four goals by the interval, after which neither team could add to their tally. 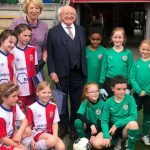 The deadlock was broken when, after dispossessing Loughgall straight from kick-off, Cliftonville poured forward with a move that ended with Joe Gormley finding the bottom corner through a crowded goalmouth. Minutes later it was 2-0 when Rory Donnelly coolly finished after good work from Gormley, who would soon add his second with an outrageous chip of goalkeeper Gareth Buchanan. The Villagers pulled one back through Andrew Hoey but it wasn’t long before the Reds restored their three-goal cushion when Donnelly completed a brace of his own after younger brother Jay had seized upon a wayward clearance from the keeper. 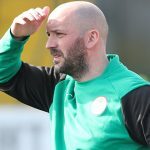 Aside from Peter Campbel’s dismissal for dissent, the second-half was the very definition of nondescript as Cliftonville comfortably held on to progress to a May 5 showpiece with Coleraine. Whatever gameplan Loughgall had went out the window virtually straight from kick-off when a combination of Conor McDonald, Liam Bagnall and Jay Donnelly worked possession to Chris Curran down the flank and his cross found Gormley at the back post, with the striker taking a touch before spinning to stroke the ball past the despairing dive of Buchanan. The keeper made a fine reaction save to stop Rory Donnelly making it 2-0 soon later but, when the duo next went head-to-head, it was the Cliftonville striker who emerged on top; his cool finish from a clever Gormley touch putting the Reds in full control. Things got even better still when the front pair combined to make it 3-0. Gormley fed Donnelly with a pass over the covering defender’s head and, when the ball was returned to him, he took one look before dinking an exquisite long-range chip into the far corner. The Villagers reduced the arrears when Hoey followed up with the rebound after a Gary Liggett attempt had rocked the crossbar but whatever hopes the Mid-Ulster side had of forcing their way back into the contest were extinguished when Buchanan’s clearance – hindered by an untimely bobble – fell to Jay Donnelly and his first-time pass ended with brother Rory smashing home a strike that, despite his best efforts, the keeper was unable to prevent crossing the line. Cliftonville’s happiness to see the game out combined with damage limitation from Loughgall combined to ensure there was precious little to report after the interval although, after Buchanan had made a fantastic point-blank save to deny Gormley his hat-trick, the Villagers were reduced to 10 men when Campbell talked himself into a straight red card from referee Keith Kennedy. 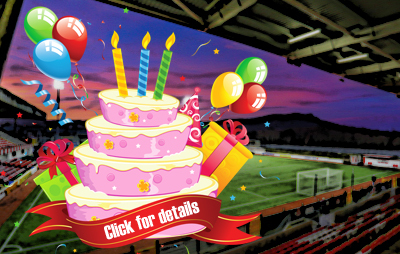 Cliftonville: Neeson, McGovern, Ives, Harney, Curran, Bagnall, Gormley, J Donnely, Costgrove, McDonald, R Donnelly. Subs: Mooney, Garrett, Winchester (for R Donnelly, 63 mins), Lavery (for Curran, 74 mins), G Donnelly, A Donnelly, Grimes (for McGovern, 78 mins).